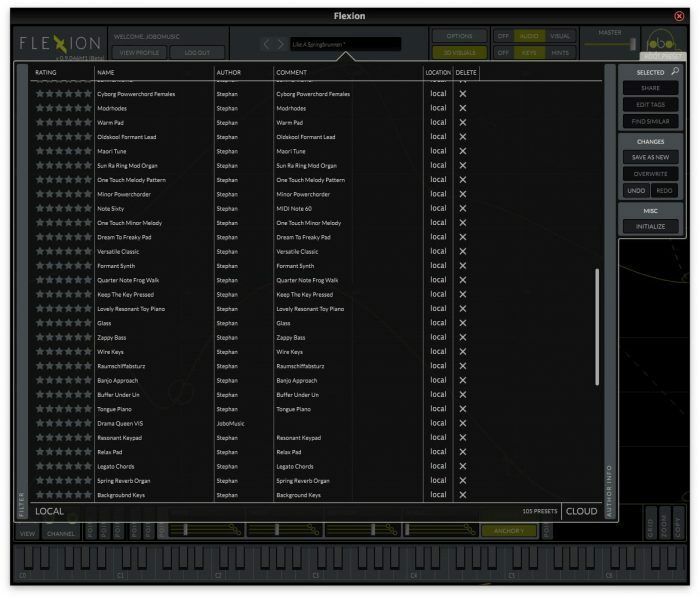 JoboMusic has introduced Flexion, the world´s first software instrument that introduces Constructive Synthesis. 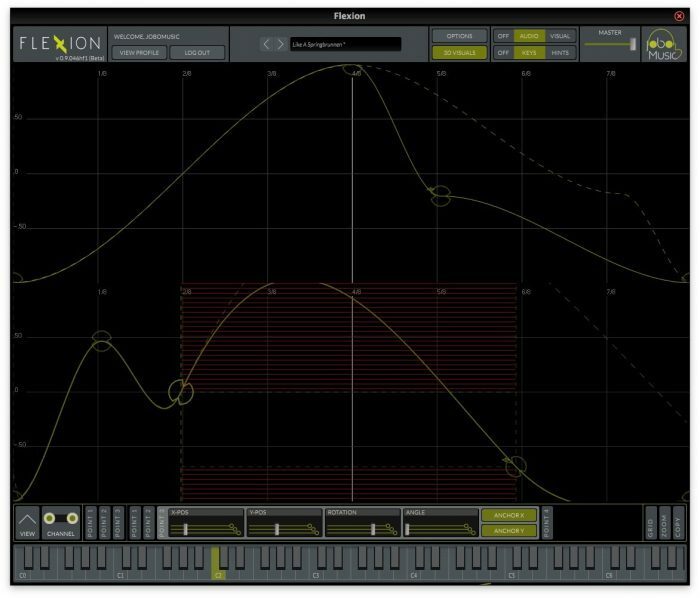 Users create their personal waveforms by constructing shapes from flexpoints. These shapes get animated by modulators that are built from flexpoints as well. 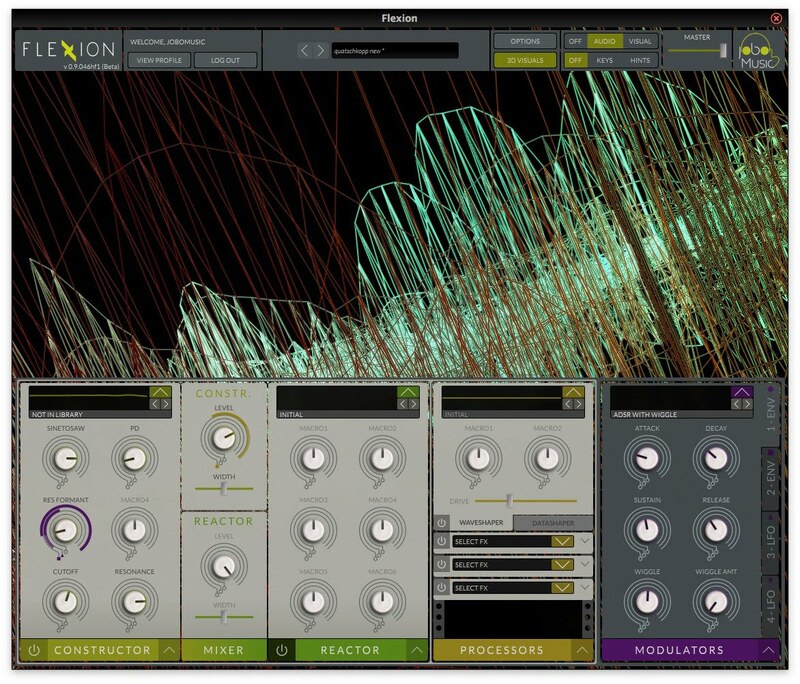 With this atomic yet easy to manageable approach to sound design Flexion offers limitless ways to go for new adventures in sound – and image! Constructive — Create oscillators, filters, envelopes and more by drawing completely malleable shapes. Manipulate these shapes in simple-to-weird dimensions with the help of flexpoint modulators and your live controller-input. Re-active — Configure an environment of scale-notes and harmonics that are excited by frequency energy. Use the crossfeed from the Constructor section and apply impulses to fulfil that desire. 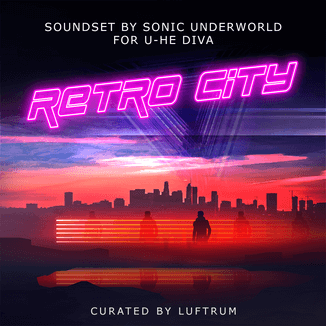 Listen to the reaction that manifests itself somewhere between slowly decaying inter-modulating frequencies and percussive timbres. Visuals — See what you hear! Flexion’s tightly integrated 3D Visuals create stunning backdrops that correspond closely to the perceived sound. Tap into certain elements of the signal flow and visualize them in order to guide the ear through the eye. 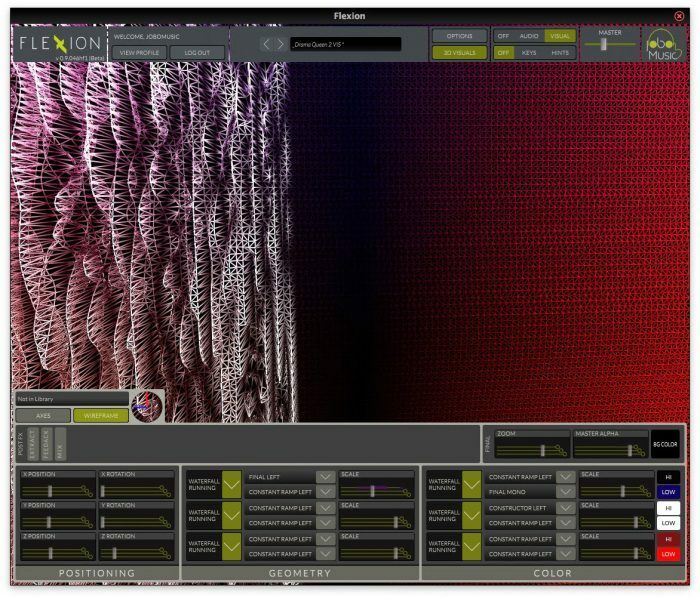 Follow along all the deformations of the Flexpoint shapes via Flexion’s realtime waveform-views. 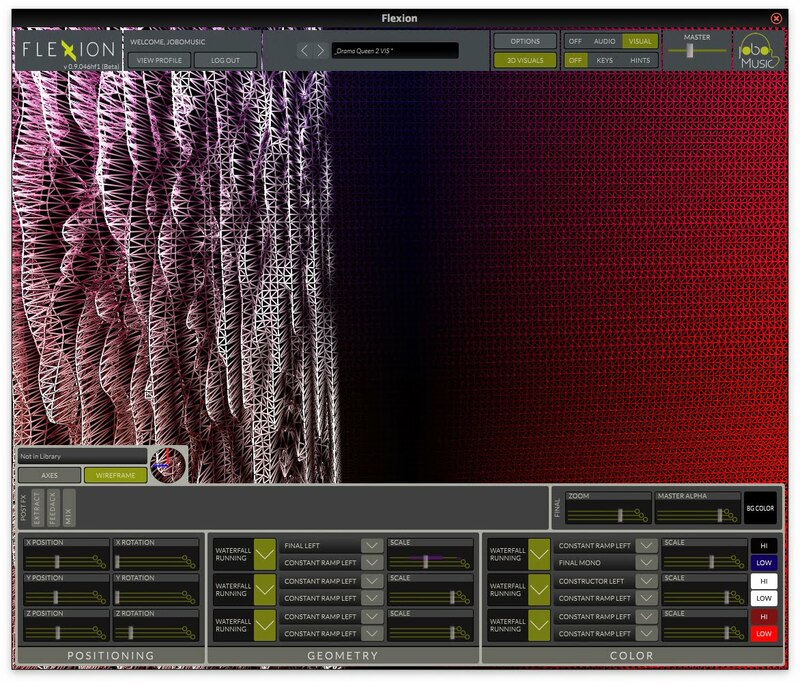 Cloud Based Modular Sound Library — Browse through an ever-growing global platform of sounds directly from within Flexion. Share your own presets, search for presets based on community feedback and even search for similar presets of a sound you like. Download your selection to your local library for offline use. 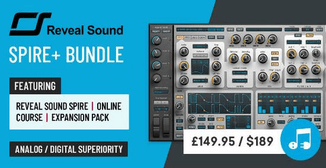 Mix and match ready-made sub-presets and easily customize your sound. 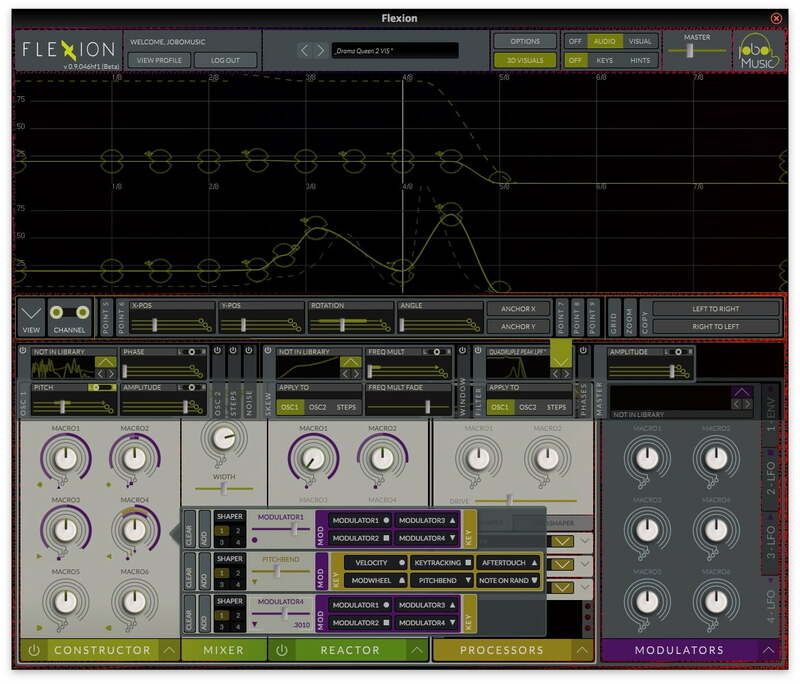 Flexion is currently in private Beta and will be released late Summer 2015. Subscribe to the newsletter at jobomusic.com to stay informed.